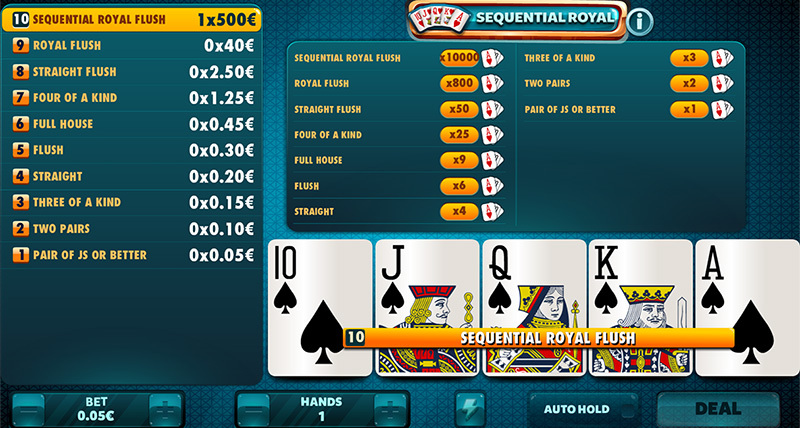 The format where the biggest winning hand is the royal flush. 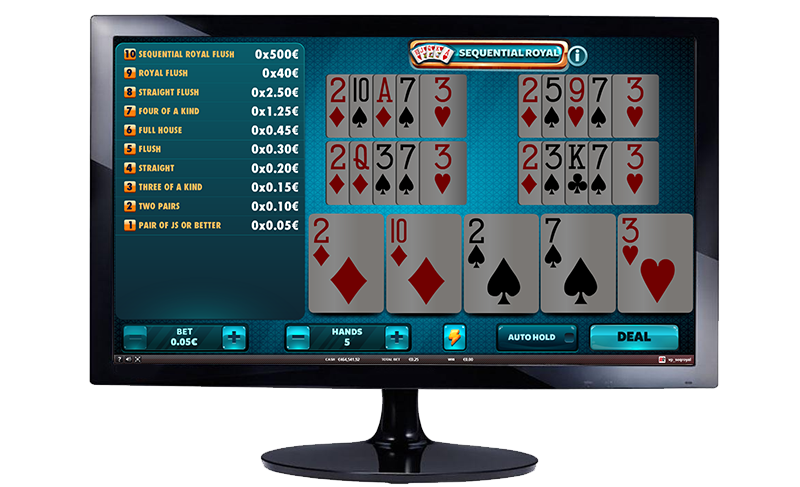 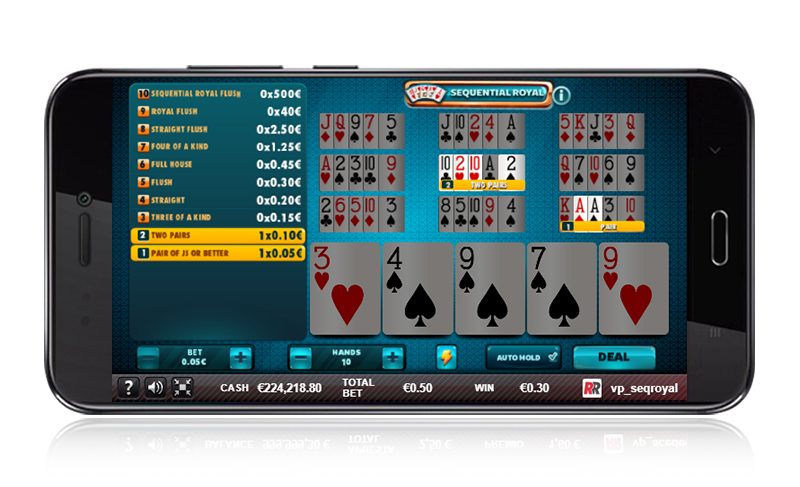 Try to obtain it in any way in order to win one of the biggest prizes in all the formats of Video Poker! 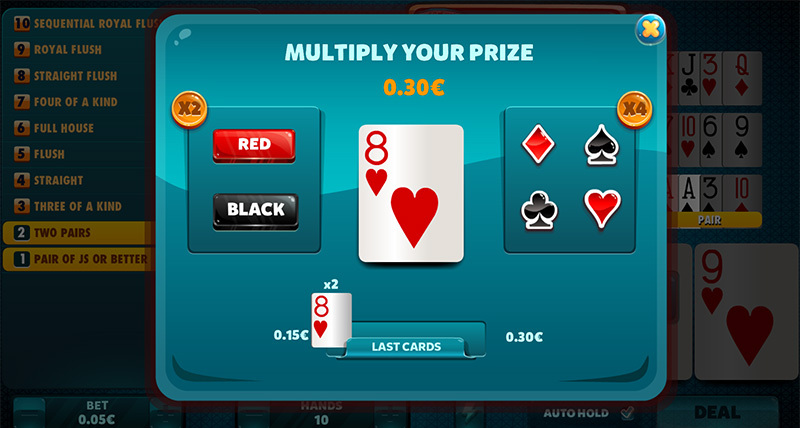 In any case, any hand higher than a pair of Js will obtain a prize. 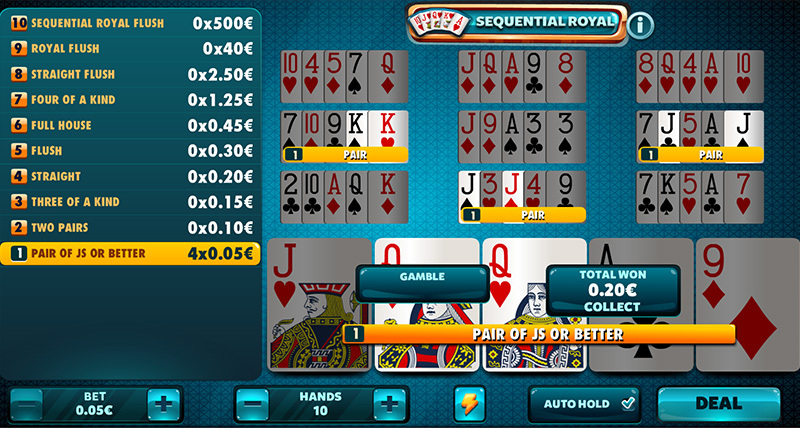 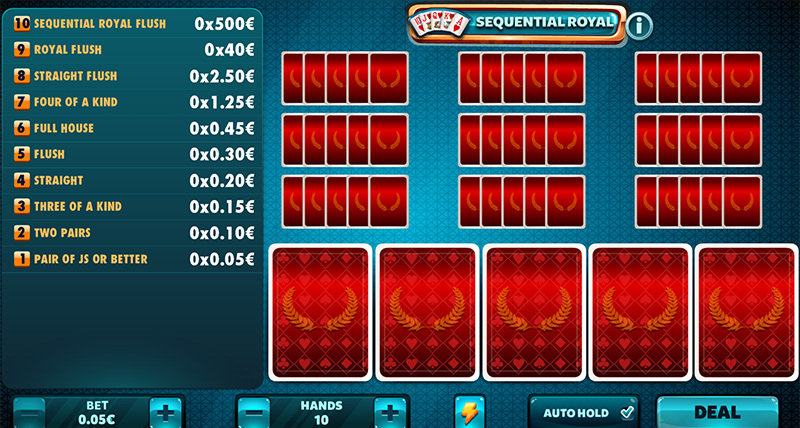 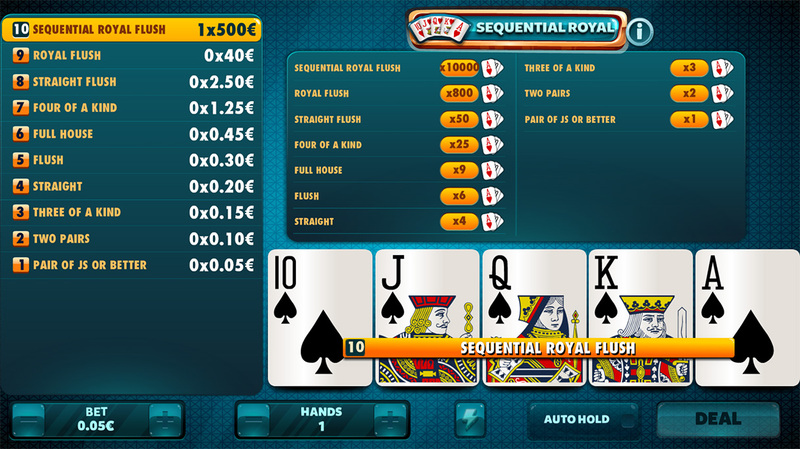 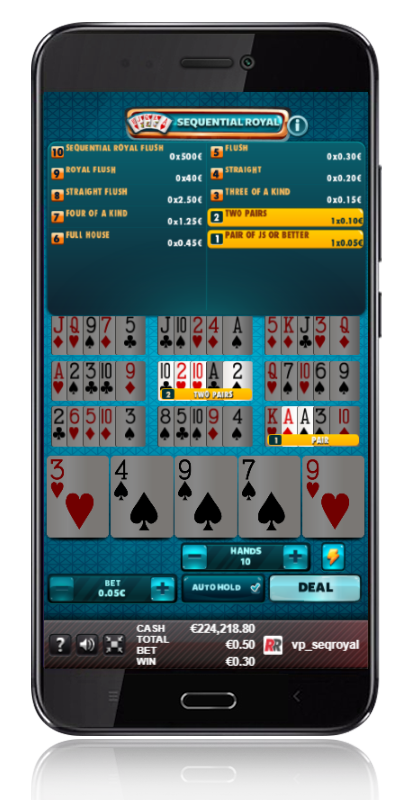 Sequential Royal: Obtain the dream hand, the royal flush. 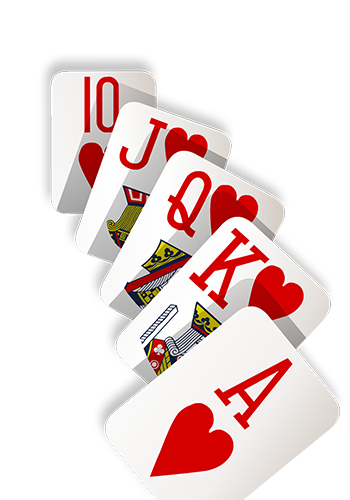 Sequential Royal: Any hand equal to or higher than a pair of Js will have a prize.